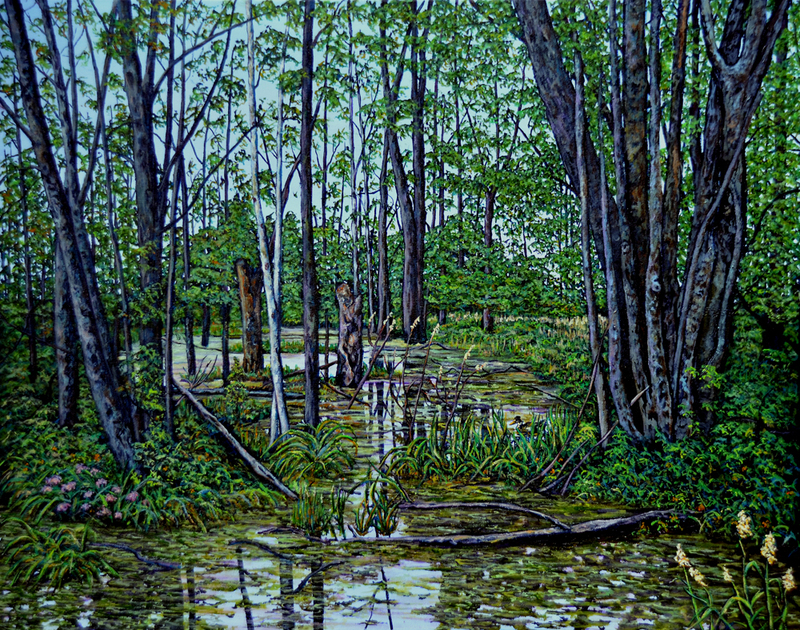 This painting is of a beautiful bog located on the 15th sideroad, north of Palgrave ,Ontario. After the initial sketch is complete, I always finish the background sky first, and then give depth to areas with a combination of alizarin crimson, prussian blue, and lamp black. Sometimes two or three coats are required with a drying space of days in between each application.